As a source of wines of the highest quality, you can do no wrong looking to Napa Valley. Beginning in 2012, Napa has enjoyed five consecutive vintages of such high quality that I am proclaiming it a “Golden Age”. 2012 was an ideal growing season: tranquil, effortless. At the time, winemakers were calling it “perfect”, “textbook”, and “classic”. A huge crop produced juicy, flamboyant wines with beguiling aromatics and poise. I love the 2012’s. 2013 was for many wineries the earliest crop ever harvested – an epic vintage that grew deep, inky, thrilling wines. Robert Parker called it “the greatest vintage I have ever tasted for Bordeaux varieties in Northern California”. Although it is too early to comment on 2015 reds that have yet to be released, the growing season was one of low yields and high quality. The 2016s, while currently still in barrel, is another near-perfect growing year, and the young wines look extremely promising. Below is a selection of Napa Valley wines from 2012, 2013, and 2014. What catches your eye? If you have a cellar, now is the time to build those vertical collections! Many Napa Valley Sauvignon Blancs have gone the style of New Zealand – no oak and 100% varietal. 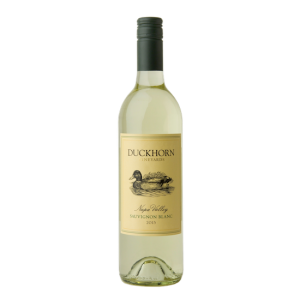 I like Duckhorn’s classic “white Bordeaux”-inspired offering that uses a significant amount of Semillon and barrel-ageing. This style of Sauvignon Blanc is more layered, rich, age-worthy and creamy than the “stainless steel” style. For me, it bridges a stylistic gap between Sauvignon Blanc and Chardonnay. As the most northeastern vineyard in the Carneros region, Truchard is situated on the foothills of what becomes the Mayacama mountain range and Mount Veeder. This location results in added warmth and well-drained alluvial soils. This wine is a combination of fruit from seven Pinot Noir clones, including Martini, Dijon, Swan and Pommard. The vines are in their prime, 20-40 years old. The wine came to life in open-top fermentors and was punched down three times daily to extract colour and flavour, a gentler technique than “pumping over”. It was then aged for 10 months in 100% French oak barrels, 35% of which were new. The Truchard family made their name in Napa as farmers, not necessarily as a winery. 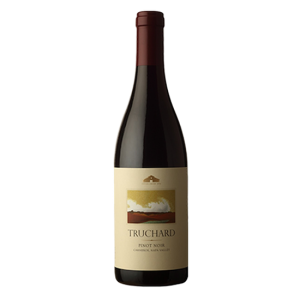 Wineries from all over the valley such as Duckhorn, Nickel & Nickel, Carter, Conn Creek and David Bruce have all bottled Truchard Vineyard designates. Knowing how good their fruit was, in 1989 the Truchards began to produce their own wines. John Buehler’s entire career has been based on one thing – making wines that are far less expensive than his competition while never compromising on quality. This Cab is 100% Estate fruit, grown above Conn Valley near the base of Howell Mountain. The aromas hint at black fruit: ripe black cherries and black plums. Enticing barrel qualities of cola and spice complement the fruit aromas. On the palate, the wine shows layers of deeply extracted flavours that only mature hillside vineyards can render. The “Estate” Cabernet is the most age-worthy wine that Buehler produces and may be enjoyed anytime over the next 15 years. The 2013 Ehlers Estate Cabernet is farmed entirely at the tiny, historic estate in northern St. Helena. This loamy benchland vineyard was first planted in 1886, and today it is Certified Organic. The 2013 blend is 83% Cabernet Sauvignon, 9% Merlot and 8% Cabernet Franc. The Cabernet brings the tannin and power, the Merlot contributes mid-palate roundness and the Cabernet Franc brings the aromatics. They use only French oak barriques. Half of these are first-fill, the balance older seasoned barrels. This contributes a lovely caramel-bakery element to the huge blackberry and black raspberry flavours. There are base notes of dark chocolate and warm garden. It has solid structure and acidity, and unfolds slowly in a decanter, which bodes well for its ageing curve. Drink or hold for up to 15 years. Ehlers Estate has a devout following, snatching up their small production very quickly each year. Because of this you’ll rarely see third party press for Ehlers Estate until the wines have already sold out. This is a great small producer, and an epic vintage. Chateau Montelena’s Cabernet vineyards are located north of the chateau in Calistoga. Here, there are predominantly two distinct soils: alluvial and volcanic. Alluvial soils support a well-drained, fairly nutrient-rich vineyard, while volcanic soils, high in minerals yet poor in nutrients, grow Cabernet with a distinctly mint or eucalyptus-like personality. Calistoga reds are well known for these flavours, indeed it is what makes these wines so appealing: ripe, powerful wines with a fresh chlorophylic spiciness to them. Speaking of great Calistoga vineyards, Three Palms is one of Napa’s most famous. The 83-acre vineyard is located on the northeast side of the Napa Valley in an alluvial fan created by the outwash of Selby Creek where it spills out of Dutch Henry Canyon. The site is covered with volcanic stones washed down over the centuries from the canyon. The soil (what there is of it) is rocky and well-drained, causing the vines to send their roots far, wide and deep to find nutrients and water. After 33 years of purchasing fruit, in 2011, Duckhorn Vineyards acquired exclusive rights for all of the grapes at this legendary site from brothers John and Sloan Upton. In 2014, they took over responsibility for farming the property. In only 10 vintages, O’Shaughnessy Estate has quickly established itself as one of Howell Mountain’s top wineries. As expected from Howell Mountain Cab in an incredible vintage, the 2013 is dark purple and opaque. In the aromas, you’ll pick up raspberries, blackberry liquor and cherry pie. On the palate, expressive fruit concentration with sweet caramelized oak notes evolve into a finish of dairy-sweet vanilla. This is a very rich, dense wine, with supple velvet-textured tannins. It can’t be denied: This is a huge wine. Masses of blackberry and black plum flavours mingle with cedar, red and black licorice, graphite and pepper in a rich, almost syrupy, viscous, really long and velvety experience. Decant for 2-4 hours, or cellar for 4-5 years and drink for 20.